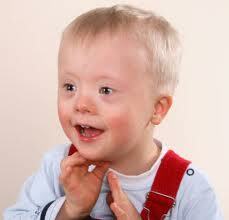 Down’s Syndrome – a death sentence for the baby but no prison sentence for those who end their lives. In the same week that a Judge handed down a sentence of eight years to a woman who killed her unborn baby at 39 weeks gestation, calls have been made to end eugenic abortions in Britain (see below). There is a link between these two stories because if the convicted mother had been able to claim that her baby had a disability – such as cleft palate or Down’s Syndrome – she would legally have been able to kill the baby right up and even during its birth. There is also a link, as the article below points out, between our celebration of the achievements of people with disabilities and our discriminatory abortion laws which single out babies with disabilities for “special” treatment – that is, their death. This is cold blooded eugenics – for which no sentence of years in jail is handed down to those who legislated to make it legal or those who end these babies lives. The success of the Paralympics should trigger a rethink of Britain’s abortion laws to make it illegal to terminate a pregnancy because a child will be born disabled, a coalition of campaigners and charities argues today. An alliance of pro-life campaigners and religious groups is launching a new push to restrict the 1967 Abortion Act, to prevent doctors terminating pregnancies on the grounds of physical abnormality. In a letter to The Daily Telegraph, they describe the practice of aborting foetuses on physical grounds as a form of “eugenics”. The letter, signed by leading figures from groups such as Life and the Pro-Life Alliance, as well as the Catholic Bishops Conference of Scotland and a number of evangelical Christian groups, argues that the current law enshrines a form of disability discrimination. Also among the nine signatories is Peter Elliott, a businessman who founded the Down Syndrome Research Foundation UK, after the birth of his son, David, in 1985. The signatories say that while pregnancies can be terminated even up to 40 weeks on physical grounds in certain circumstances, the moment the child is born a “moral volte-face” is performed and the official approach is “full of compassion”. 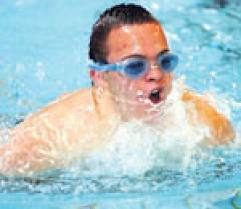 “The recent Paralympics made this contradiction yet more glaring,” the letter says. The 1967 abortion act, as it is currently applied, allows terminations up to 24 weeks if two doctors agree that the physical or mental health of a pregnant woman is in jeopardy. After that, however, abortion is possible in cases in which there is a “substantial risk” that the child will suffer from a “serious handicap”. It is also permitted in cases where the life of the mother is judged to be at risk from the continuation of the pregnancy. The most recent figures available show that there were 146 abortions after the 24-week limit in 2011 in England and Wales out of a total of almost 190,000. But overall there were more than 500 abortions after screening for Down’s Syndrome. The campaigners argue that this amounts to a form of eugenics – the belief that a society can be “improved” through controlled breeding to increase the occurrences of desirable characteristics. But supporters of abortion reacted with anger saying that the term – with its Nazi connotations – was an “insult” to women who had faced agonising choices. “Eugenic abortion is bad medicine,” the letter states. They insist that the “positive and civilised” approach is exemplified by the work of baby hospices and greater research into fetal conditions rather than allowing terminations. Prof Jack Scarisbrick, founder of the anti-abortion group Life, said that the group is hoping to mobilise pro-life MPs to bring forward a private members bill in the Commons to amend the act. A simple two-clause bill could make it illegal to terminate a pregnancy after screening for conditions such as Down’s syndrome, he said. “We are very hopeful that now we can make a move from a new direction, that rather than focusing on weeks and grounds for abortion we can tackle this particular aspect which we believe we can win. But Darinka Aleksic, campaigns coordinator at the Abortion Rights group, said: “Every year about one per cent of abortions are carried out on the grounds of fetal abnormality. “A diagnosis of this sort places families in an extremely painful and difficult situation, which requires privacy and support as they decide whether to continue with the pregnancy. “We believe that the decision is a matter for the parents and their doctors alone. It should not be used as a political football. “Using terms like ‘eugenic abortion’ is an insult to people who are faced with this difficult choice. “Pro-choice supporters respect the rights of all women, including those with disabilities, to make their own reproductive choices. A Department of Health spokesman said: “There are some circumstances where the law permits an abortion beyond 24 weeks – for example where there is a substantial risk of serious physical or mental handicap. “This decision is not taken lightly. Two doctors must agree on the seriousness of the handicap, while also taking into account the facts and circumstances of each individual case.